My Gator Watch, a brand by Techsixtyfour, launched in 2015 by Colleen Wong, a mum of 2 toddlers. 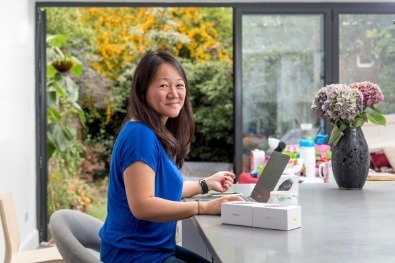 She had the idea for a wearable mobile phone when she saw a fellow mum running around looking for her young child at a farm in the UK. Colleen wanted a product that would allow for parents and their children to stay in contact but without any distractions of a smartphone such as camera, internet, social media and games. 2019: We are thrilled to introduce My Gator Watch for Seniors in the UK. Most of us here at My Gator Watch are parents just like you. We all work flexibly and fully support flexible work across all businesses big and small. We believe that family and health always come first. to buying and setting up the watch, or checking out the tips on the Gator Club – you’ve had some help from one of our team. Our cause and hard work have been recognised widely by the industry and beyond.